Most ideas about justice up to the birth of Islam focused on justice as a virtue or as principles or criterion. Exceptions are Plato and the Platonic Islamic philosophers who thought of a just society as an enlightened collectivity ruled by philosopher kings. Their focus was on the person of the leader not on the structure of society’s governance. Only two schools of thought conceived of justice as a system. The first is the conception of Zarathustra, whose system of thought includes a requirement that a just social system be anchored on just governance, and Islam that situates a just system explicitly around the axis of just governance as the anchor. 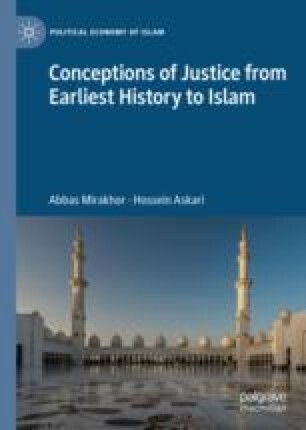 In a companion volume, we survey the conceptions of justice from Islam to the present and assess the state of justice in Muslim countries.